There are many reasons why you’d need a lock repair service to repair or replace your lock entirely. You may be moving into a new apartment or home, going through a divorce, realize that there are too many copies of your keys, or you simply lost your keys over the weekend. 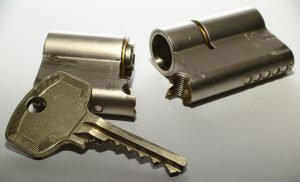 Whatever the reason, Key Man Service can reset those cylinders in your lock and secure your property from intruders. 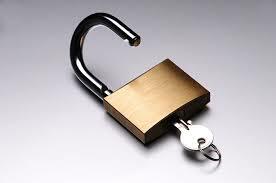 You may not realize how vulnerable your house is if your locks are worn or damaged. Therefore, it’s best to get the job done as soon as possible. Schedule an appointment with us whenever you’re free and we’ll figure out a time and date to come do the job for you fast. Plus, we’re here to answer any questions you may have about the service because we care about your lock’s security and integrity. Should I replace or rekey my lock? Replacing the lock could cost anywhere from $30-$300 depending on fees, lock type and the security level. Rekeying the lock will cost anywhere from $40- $100 plus $5-25 per lock cylinder. Again, it all depends on the lock type, security level and the equipment fees that come with it. Should I just buy a new lock instead? By all means. If you’re handy with locks and know what you’re doing, by all means, buy a new lock. But be sure to do your research on what kind of lock you will buy, as some locks are more secure than others, and a very cheap lock will almost certainly not hold up security-wise. Not only that, but say you buy the lock and then you go to install it. Unless you have some professional training or are good with your hands, you will most certainly encounter some hurdles when you install the lock yourself. You could damage the door scaffold and then you’d have to buy a new door which could cost you at least $1000 for parts and labor. How much do new locks cost? New Locks are great if you have some cash to spare or know what you’re doing because you’ll be paying for parts and labor unless you install the lock yourself. The price of front door locks varies, but you can get cheap ones for $5-15 from Walmart or Home Depot. If you’re looking to install new locks in your entire home, it will run you from $20-60 most likely. Buying a lock will depend on your budget, skill level and time, and if done right, it can be worth it. However, if you simply cannot decide on what option is best, your best bet is to call a locksmith who won’t waste your time and get the job done quickly. Sure, the cost can be a bit higher than just buying the lock and doing it yourself. But a locksmith will get it right the first time AND save you the hassle of going to a store or buying the tools online. Plus, you may get some advice on securing other areas of the house better. Deciding whether to repair or replace your lock can take time and effort. 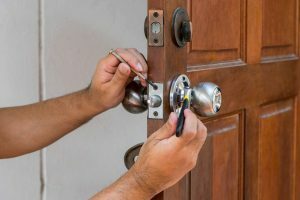 We just want to let you know that we are here to answer any question you may have about the Lock Repair Service and how you can better secure your property for the long run. Call Key Man Service at (661) 210-1182 and make the change today.